Brochure: USU homecoming 2010, "Leaving your Legacy"
Mailer detailing the events of Homecoming week 2010 at USU, "Leaving Your Legacy." Sent by Alumni Association. 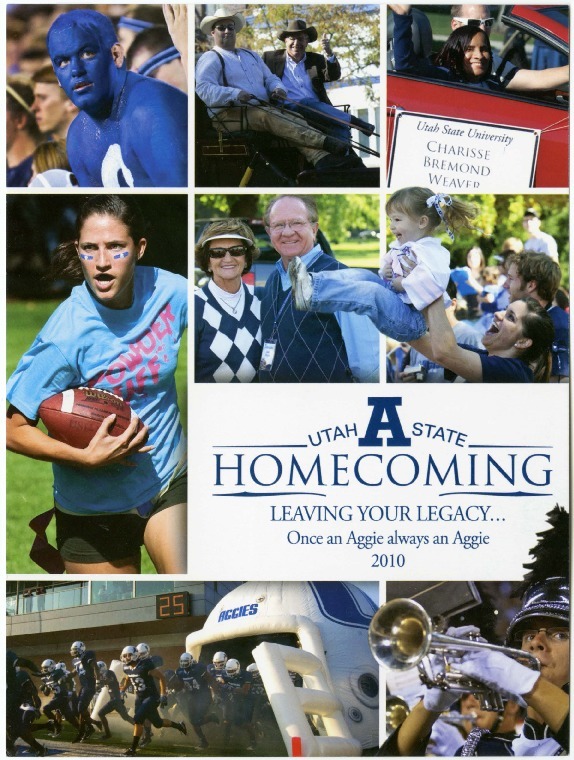 Utah State University Alumni Association, “Brochure: USU homecoming 2010, "Leaving your Legacy",” USU Digital Exhibits, accessed April 24, 2019, http://exhibits.usu.edu/items/show/18286.